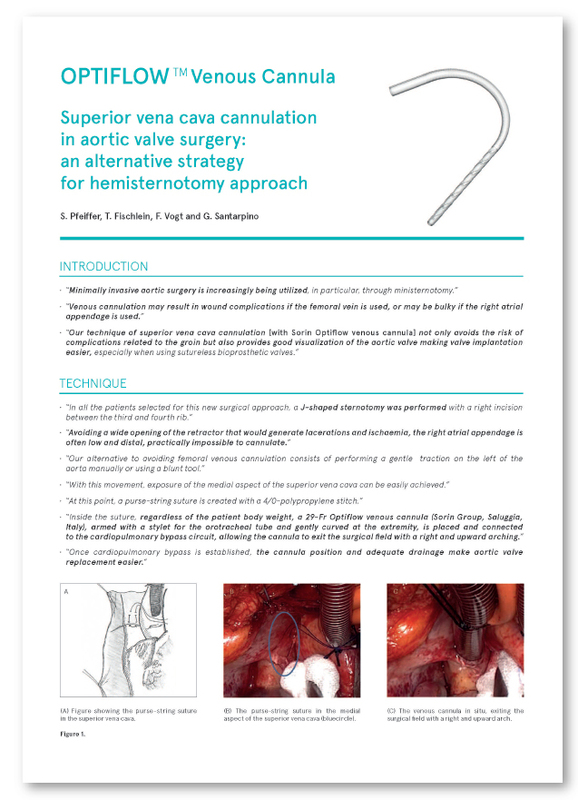 The Pfeiffer clinical paper1 discusses the technique for inserting Optiflow venous cannulae during minimally invasive procedures. Direct aortic cannulation is preferable to avoid the potential for wound complications related to femoral cannulation. In addition, inserting the cannula through the superior vena cava can avoid a wide opening in the sternum, allowing a J-shaped sternotomy with a right incision between the third and fourth rib. Furthermore, the cannula can lay vertical close to the patient’s shoulder during the procedure without interfering with the operative field, providing a clear field of view and making valve implantation easier.